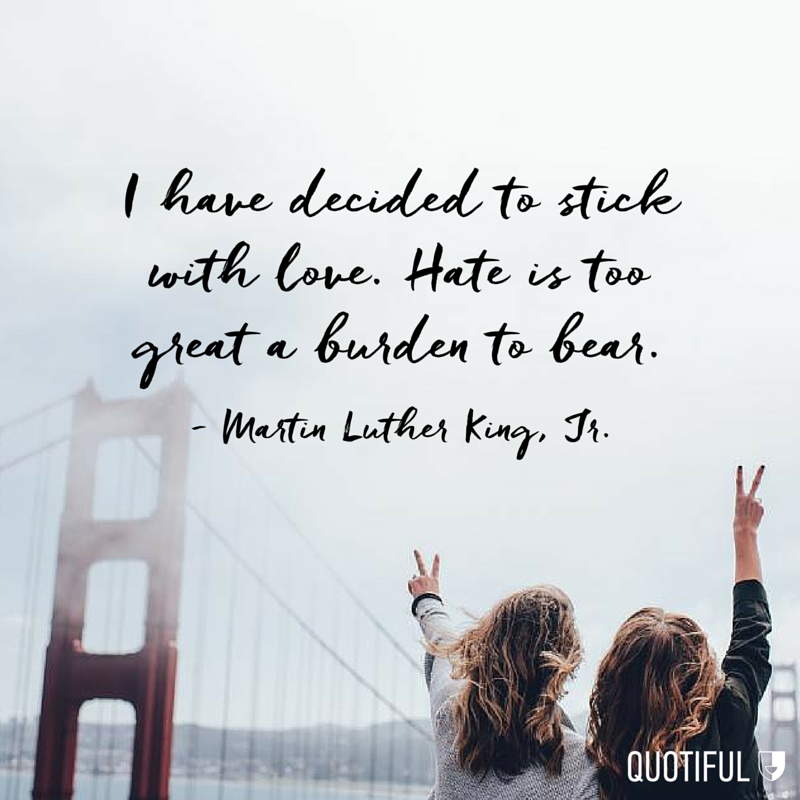 14 Impactful Quotes from Martin Luther King, Jr.
More than 50 years after delivering his resounding "I Have a Dream" speech, Martin Luther King, Jr.'s quotes are still as relevant and inspiring as they were from the steps of the Lincoln Memorial. To celebrate today's holiday of remembrance and equality, we've curated 14 of his most impactful statements. Read on, and remember, the power of one should never be underestimated. "I have a dream that my four little children will one day live in a nation where they will not be judged by the color of their skin, but by the content of their character." - Martin Luther King, Jr.
"Love is the only force capable of transforming an enemy into friend." - Martin Luther King, Jr.
“Let no man pull you so low as to hate him.” - Martin Luther King, Jr.
“Forgiveness is not an occasional act. It is a permanent attitude.” - Martin Luther King, Jr.
“If you can’t fly then run, if you can’t run then walk, if you can’t walk then crawl, but whatever you do you have to keep moving forward.” - Martin Luther King, Jr.